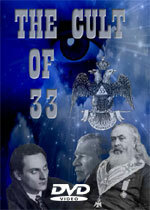 PRM-18-DVD - Secret of Solomon's Key - DVD - Discover Vital Secrets of Freemasonry Drawn From the KJV This item is on sale. One Cutting Edge subscriber called to tell me that, not only is this a "must-see" video, but that it dove-tails with our own DVD, "Riddles In Stone" She said that this video also contained a lot of great information about Masonry not covered in either "Riddles" or "New Atlantis"
Author Michael Hoggard reveals from the illuminati the most darkest, diabolical secrets in the world. Using the elements of Scripture numerics, Bible Typology, and the peophetic Word of God, Michael reveals the truth behind: 1) The meaning behind the sacred of Washington D.C. God's Longitude. 2) Freemasons using children to bring in the New World Order. 3) The hidden truth behind the Star of David. 4) A new understanding of the Mark of the Beast and the number 666. 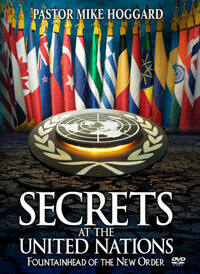 PRM-59 - Secrets At The United Nations: Fountainhead For The New Order - DVD by Pastor Hoggard This item is on sale. Part 1 - Does the United Nations and the Tower of Babel have anything in common? YES! Pastor Mike Hoggard delves into the world of the United Nations, their purpose, and what it is hiding and what is concealed in their innocent looking logo. Pastor Mike breaks down the occult symbols of the UN logo's laurel leaf, the sections of the globe, and the vital significance of the North as the center point. This video is a very timely expose of the United Nations being the foundation of the new world order and whose true history starts way before 1945. Scriptures reveal Lucifer's plan to deceive the nations, and bring about his goal to rule the world! Part 2 - Something wicked this way comes, and it is coming from the North. Why is the center or focal point of the UN logo the North? What is the Biblical significance of this particular direction? Scripture after Scripture describes North as a spiritual realm; Lucifer's earthly followers have been working to fulfill his ambition to be like the Most High, exercising total control of humanity. Pastor Mike again ties together Biblical numerical correlations, ancient pagan practices, the Zodiac, New Age thought, the Vatican, Freemasonry secrets and Bible prophecies that will take place, perhaps very soon. Like unto no other, a brutal invasion (of the 4th kind) is coming from the North! 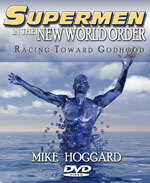 PRM-49-DVD - Supermen of the New World Order: Racing Towards Godhood - DVD by Pastor Mike Hoggard This item is on sale. New World Order advocates are not just about bringing the entire worlds resources and populations under one rule, but taking man himself to the next level. 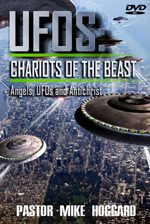 In this CD, Pastor Mike Hoggard dares to expose trans-century conspiracies trying to hide the true purpose behind denying Biblical creation and earths final redemption. Ever-increasing hidden propaganda in movies, advertisements, books, and corporations are pushing the idea that the future human is on a fast track to evolve into a higher beingby genetic manipulation and startling advances in technologymans own creation of a super race in no need of Gods salvation or grace. See how your church may be buying into evolution without even knowing it!! 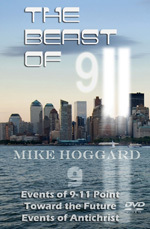 PRM-45 - The Beast of 9-11:DVD by Pastor Mike Hoggard This item is on sale. Pastor Mike Hoggard examines the events of 9-11 in light of Holy Scriptures exposing deeper meanings than the popular conspiracy theories today. Using Bible numerics and patterns, Pastor Mike shows that the public is being subtly conditioned to accept the coming kingdom of the anti-Christ and to willingly take the mark of the beast. True answers for these world-shaking events are found in the KJV. In this video we learn what the numbers nine, eleven and four mean and how they connect from Noahs days to the Twin Towers to future events in the Book of Revelation. Pastor Mike demonstrates that the numbers 9 and 11 are in government logos, memorial sites, advertising; space missions and even movies! NOW is the time to educate yourself, your family and friends of the evil coming upon the earth. 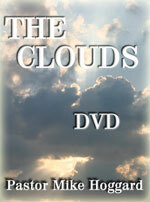 PRM-31-DVD - The Clouds:Part 3 Series of Understanding Prophetic Scripture - DVD by Pastor Hoggard This item is on sale. In this third part of the Understanding Prophecy series, Pastor Hoggard gives the principals for understanding the Holy Scriptures as a prophetic voice. The King James Bible contains a language structure that reveals the fascinating details of the Second Coming of Jesus Christ. In this video you will see the significance of the rainbow covenant in Genesis 9, Joseph's coat, Jesus' swaddling clothes, and Elijah's chariot. The beautiful, inspired word structure of the King James Bible will come alive as you watch this in depth study. 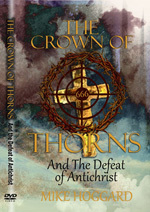 PRM-44 - The Crown of Thorns and the Defeat of Antichrist - DVD by Pastor Hoggard This item is on sale. The first time Pastor Hoggard ever saw the movie The Omen, he was amazed at the occult and biblical symbolism embedded in the film, including the name given for the Antichrist. In this latest video from Michael Hoggard, he reveals the secrets behind the Masonic symbol of the acacia tree and the construction of the wilderness tabernacle, including the symbolism of the crown of thorns on the head of Jesus Christ. This teaching reveals from the scriptures why many major denominations, ministries, well-known Christian leaders, and churches are moving rapidly toward the great falling away. 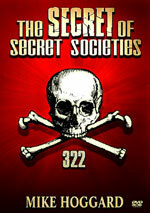 Luciferians brag that the numbers '33' and '11' are the most sacred numbers in their world. But, they are important in God's Bible as well. The Number 33 is the sum of 11-11-11 and many wonder if this date has special significance in Bible eschatology, or if there is esoteric meaning behind events of history. Through the pages of the Old and New Testament Scriptures of the KJV, Pastor Mike Hoggard studies the number 33 to reveal startling connections between the temple of the human body, Jesus death on the cross, Gods signature in all of creation, the journey of the 13 crystal skulls, 33rd degree Scottish rites, 33rd parallel, religious/social convocations, KKK, commercial logos and paradigm-shifting events such as the 9-11 tragedy, JFK assassination, and many others. This study will startlingly show that the Beast of Revelationthe man of sinhas a corresponding signature and timely Biblical wisdom will help devoted students of the Bible discern between the real Jesus and the fake Jesus! 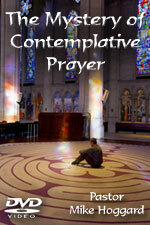 PRM-37-DVD - The Mystery of Contemplative Prayer: New Age Practice Invading Churches - Trail Leads Directly To The Vatican - DVD by Pastor Hoggard This item is on sale. 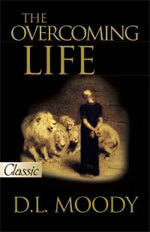 BL-9780882704005 - The Overcoming Life COMBO Offer - Key Writings From D.L. Moody This item is on sale. "The greatest allegory ever written!" 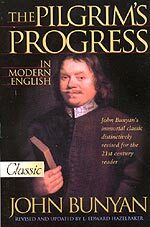 Just as relevant today as it was when John Bunyan wrote it in his cell in the Bedford County Jail, The Pilgrim's Progress is the story of every Christianfrom the first stirrings of the Holy Spirit beckoning us to follow Christ, to our final arrival in the Celestial City of God. 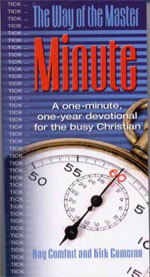 A one-minute, one-year devotional for the extremely busy Christian. Too busy for a daily devotion? Got a minute ... but only one? Perfect! This book is for you. 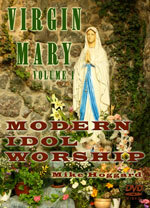 PRM-54 - Virgin Mary: Modern Idol Worship DVD, Volume 1 of 2- by Pastor Hoggard This item is on sale. PRM-58 - Virgin Mary: How The Catholic Church Rejects The Bible - DVD From Pastor Hoggard - Volume 2 of 2 This item is on sale. Does a witch conjure evil spells with the aid of such apothecaries as eye of newt and dried wing of bat mixed in a boiling cauldron under a full moon? 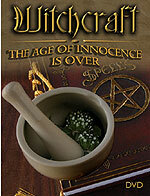 Does a witch invoke Satan or other evil spirits to do their bidding for them? Are witches on a mission to replace Christianity with Devil Worship? Does the modern witch truly worship Lucifer, or is he or she simply a tree- hugging disciple of Mother Nature? Are those who practice Wicca and white magick true witches, or are the true witches the practitioners of black magick and Satan worshipers cast in the mold of Aleister Crowley or even Anton LaVey? 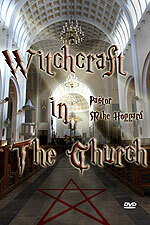 PRM-52 - Witchcraft In The Church - DVD by Pastor Mike Hoggard This item is on sale.